Macau is home to some of the most delicious cuisine! For all the food lovers out there it doesn’t matter if you’re looking for the taste of the Orient or something that will have your taste buds wanting more, Macau has endless dining options to keep your hunger satisfied! Macau’s pork chop bun is one of the top foods to try. 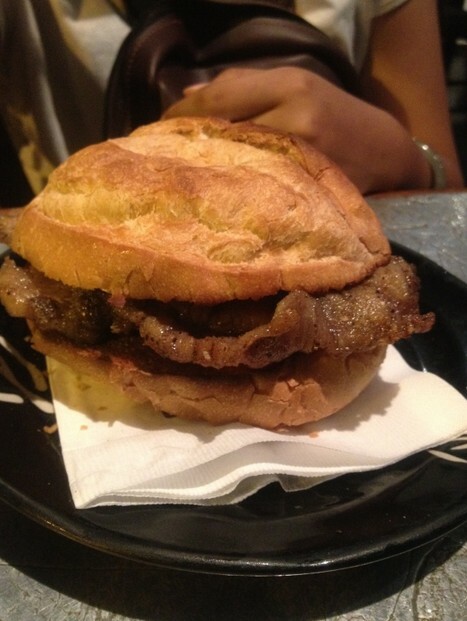 The pork chop is well seasoned with a crisp outing and a soft centre and is sandwiched between a soft bun. There are no other ingredients such as lettuce or tomatoes added to the bun. Tai Lei Loi Kei is one of the best places to try out the famous bun! For those in search of the delicious Tai Lei Loi Kei there is a shop in the Venetian. 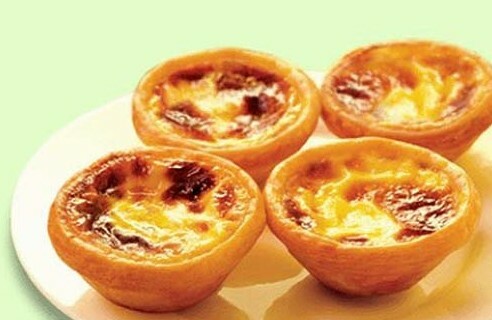 The delicious egg tarts is a symbolic snack of Macau and remains one of the top sweet treats! The Portuguese egg tart is made of a puff pastry crust and the egg filling is more smooth in comparison with the Hong Kong egg tart that also has a short crust pastry. Lord Stow’s Portuguese tarts are the favorites of many tart lovers and for the convenience for those on the tart hunt there is Lord Stow in the Venetian. 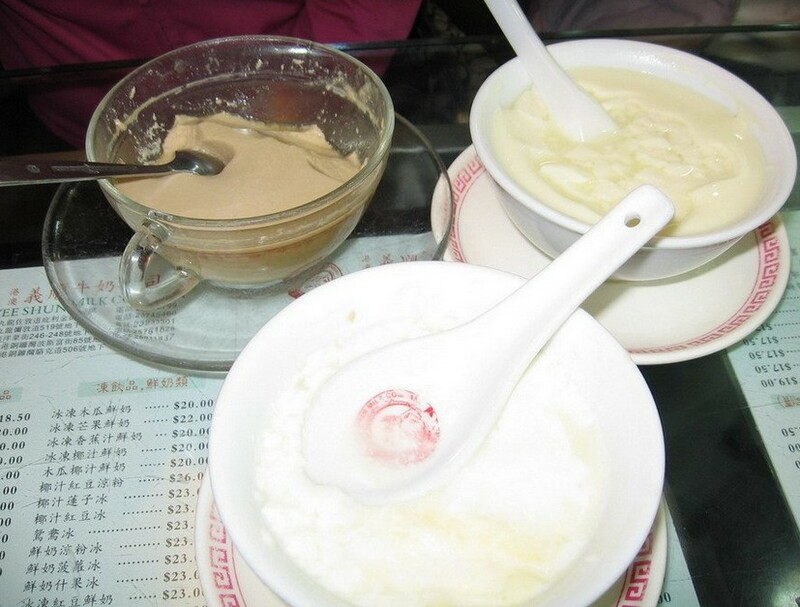 Yee Shun Milk Company’s double skin milk pudding is well known for its smooth creamy texture. There are various flavors to choose from such as chocolate, coffee and ginger. For those with an extra sweet tooth you can ask for the sweet red bean milk pudding that will satisfy those who need a sweet treat after dinner! Be sure to visit Yee Shun only for this pudding and recognize the store with the red cow logo. 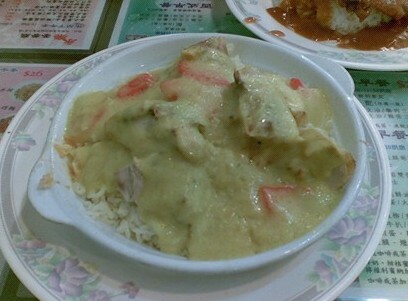 The Portuguese chicken rice is a traditional recipe that was brought to Macau by its Portuguese settlers. The tender pieces of chicken are cooked in a rich creamy sauce with vegetables and then poured over a bed of rice and baked to perfection. There are various take on to this recipe and different restaurants have their own unique blend to this recipe but one of the most famous places to try is O Santos, the restaurant has been in the business for 20 years and serves up authentic Portuguese cuisine! 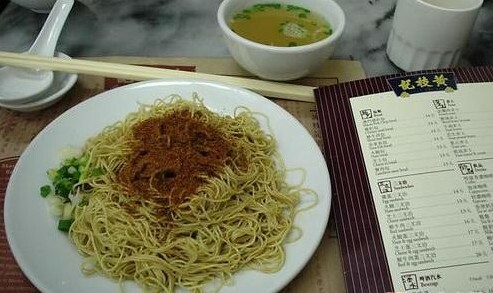 The well known Wong Chi Kei is very famous for its shrimp roe noodles that are absolutely lip smacking delicious! The fine noodles are springy and are sprinkled with dry shrimp eggs giving the noodles their distinctive flavors. The noodles are also served with a bowl of clear soup for those who may find the noodles a bit dry for their liking can drizzle some soup over the noodles. Apart the noodles the congee and deep fried won tons are also delicious.